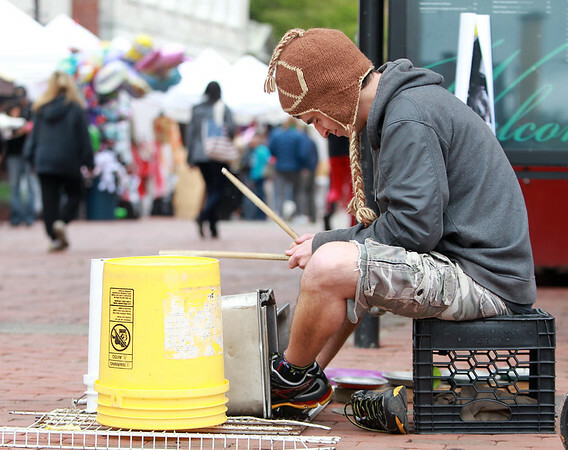 Leo Neyman, of Marblehead, plays the drums on the sidewalk at the end of the Essex Street pedestrian mall on Friday afternoon. DAVID LE/Staff photo. 10/24/14.